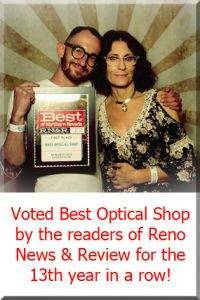 Doctors Travis and Cheryl Adlington are optometrists serving the Reno, Sparks, and Tahoe areas. They provide eye exams, licensed opticians and a beautiful optical boutique. Doctors Travis and Cheryl Adlington are optometrists serving Reno, Sparks and Tahoe. 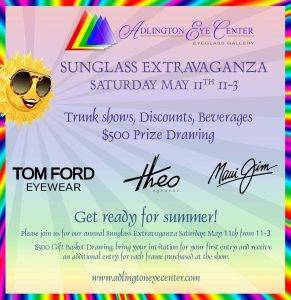 Offering eye exams, unique designer eye wear, sunglasses, contact lenses and a team of professional staff to assist you. 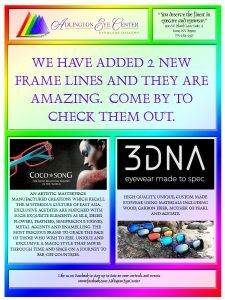 At Adlington Eye Center we specialize in truly unique, high end eye wear from Europe and around the world. Our professional optical staff has over 40 years experience and our modern, state-of-the-art eye care center will insure that you, your family and your friends receive the best possible eye health care and the most accurate eyeglass and contact lens prescriptions. We offer comprehensive eye examinations, treatment of red, dry eyes, diagnosis and management of eye disease such as glaucoma and macular degeneration, pre and post surgical follow up for LASIK and cataracts, and an on site lab for same day service. 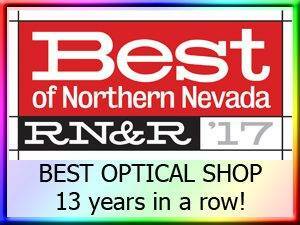 Adlington Eye Center has been serving Northern Nevada for more than 26 years. We encourage you to make an appointment today, with Dr. Travis Adlington or Dr. Cheryl Adlington, our optometrists, to get the eye care you deserve. Kathy and Christopher accepting the Adlington Eye Center Best of Reno award. 13th year in a row! Thank you to everyone who supported us in 2017!